The breath + beats of the street. 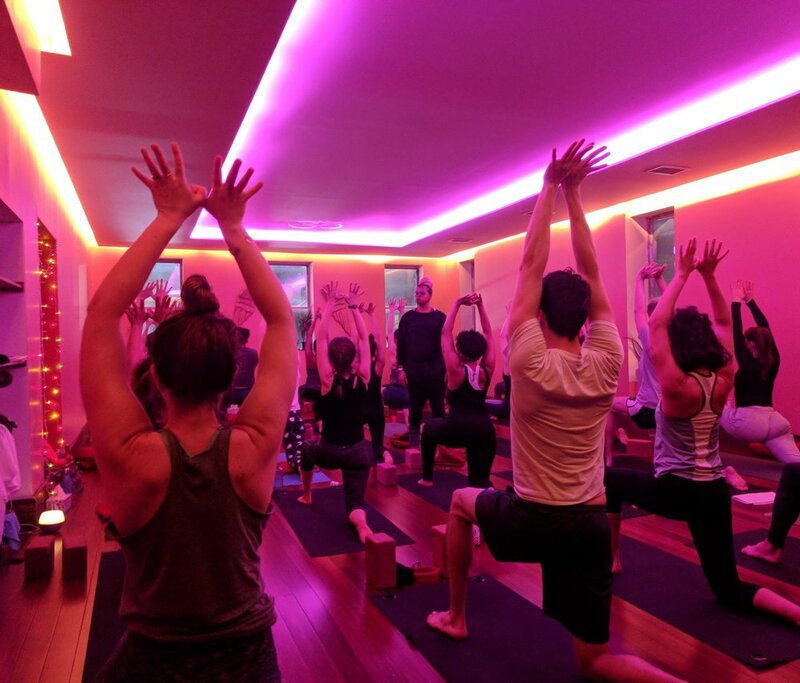 Located in Crown Heights, Brooklyn Urban Asanas is a yoga studio for the community. The first of its kind in the neighborhood; we offer the benefits of yoga—health, light, spirituality—while maintaining the strength and diversity of the people we serve. Our focus is on movement through music, collaboration, and heart. Urban Asanas welcomes yoga practitioners of all levels and from all socio-economic backgrounds. We offer free mat rentals and community classes and workshops, as well as student and senior discounts. Breath & Beats is an event series that includes a live DJs spinning to the flow of a Vinyasa style class. We keep yoga fun and accessible to all. Check out our diverse class offerings, workshops and events. Stay up-to-date with daily class schedules with the Glofox app and follow us on Instagram and Facebook for studio updates and announcements. This Sunday, December 16th, join Jacqui of Earthly at the studio 1-3:30pm for a special textile workshop that will teach you how to make beautiful pigments with natural elements like flowers. Each ticket includes all materials and a silk scarf that you will dye during class and take home day of. Book now for you and a friend through Glofox or Eventbrite. Jyll was recently interviewed for Scott Goodson's Uprising!!! podcast. Listen to Jyll's take on the yoga world today, the need for more diversity, the importance of self care and the role Urban Asanas is playing in the current movement.